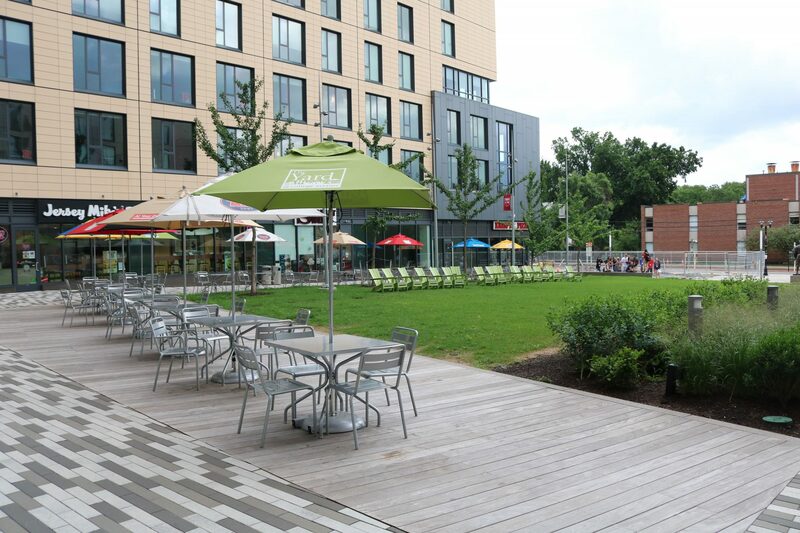 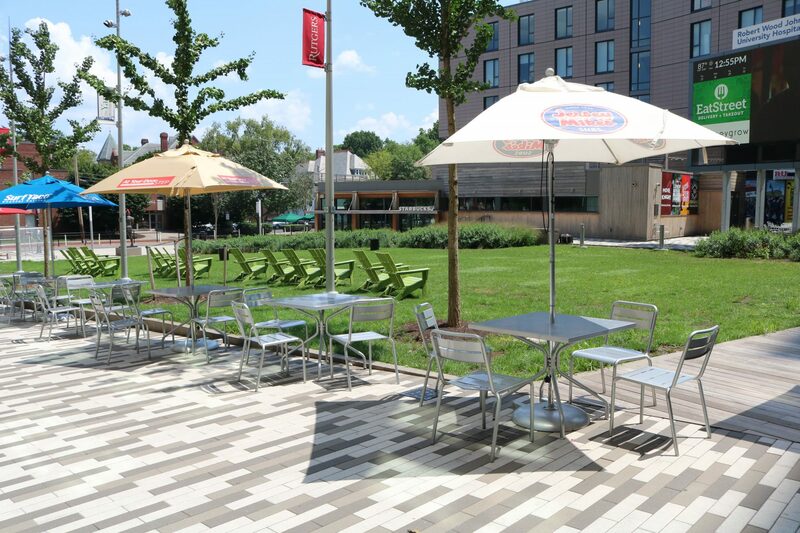 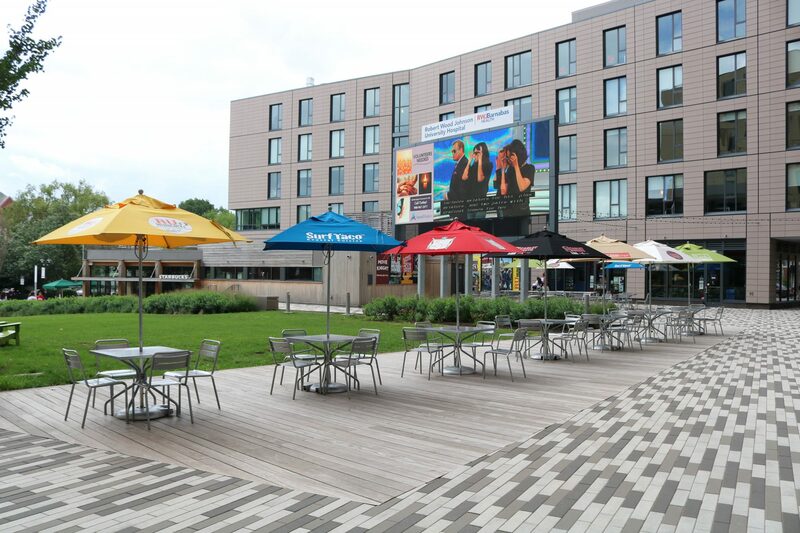 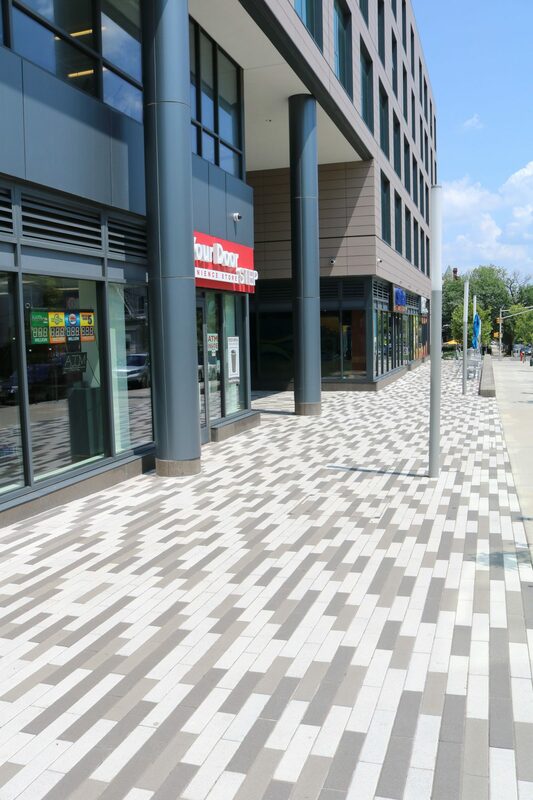 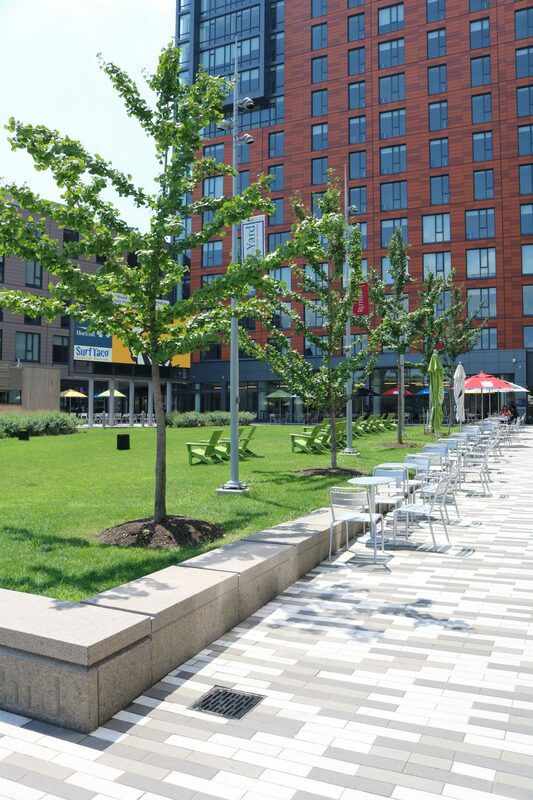 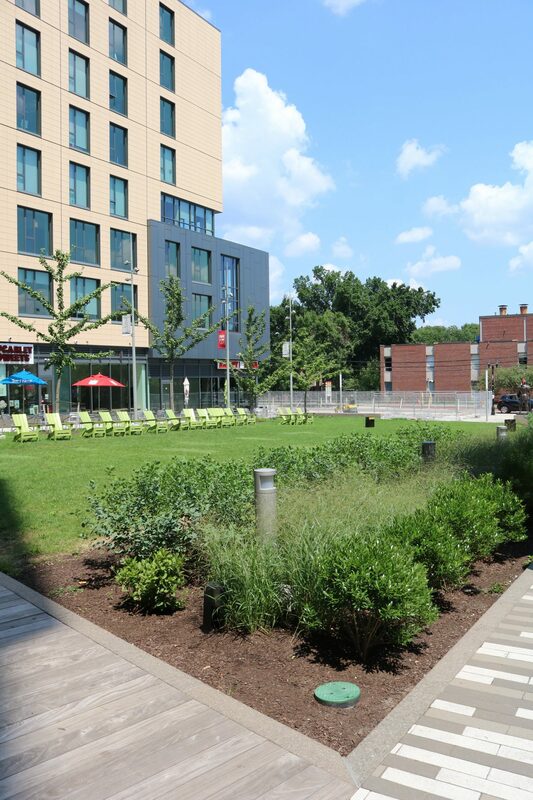 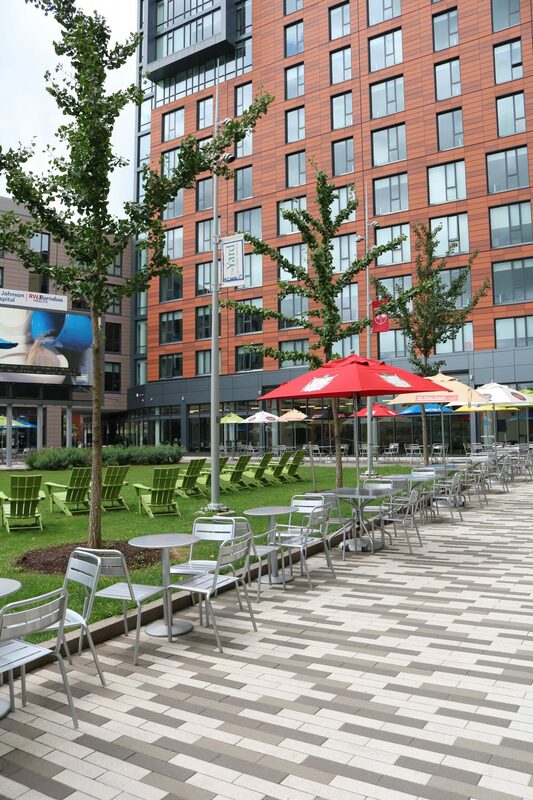 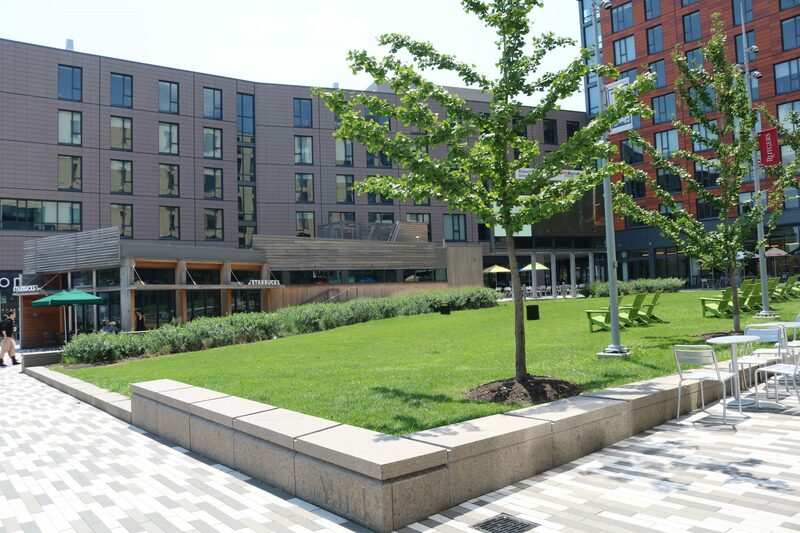 Being the historic end point to the Rutgers College Ave. campus which once held the ever famous grease truck lot, Rutgers Lot 8 was a must to produce an catching and amazing gathering area. 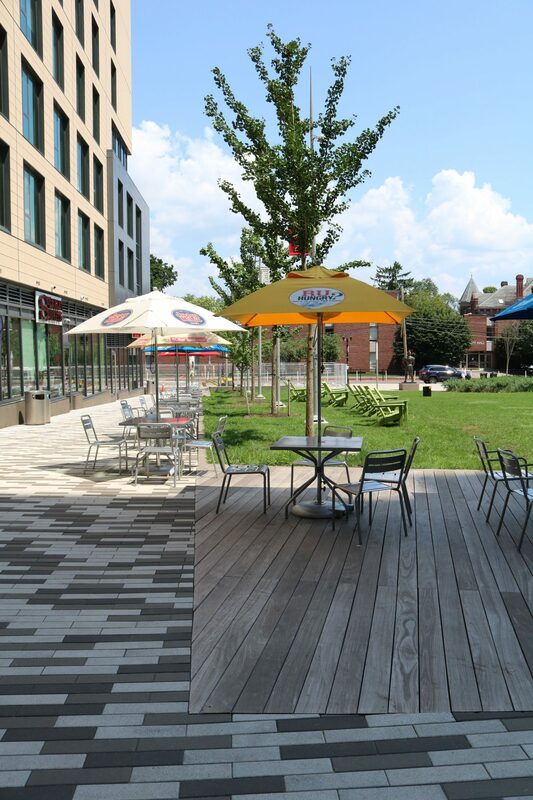 Joseph Jingoli & Son, Inc.
Let It Grow was contracted to install all things hardscape and landscape. 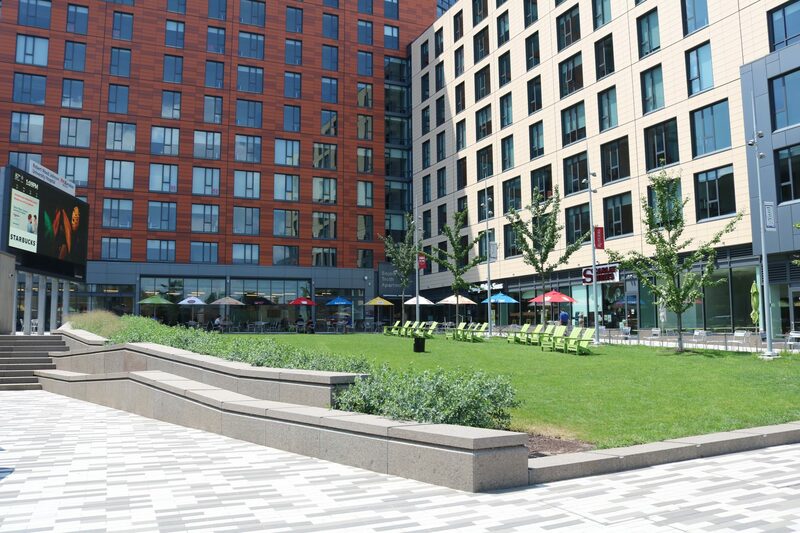 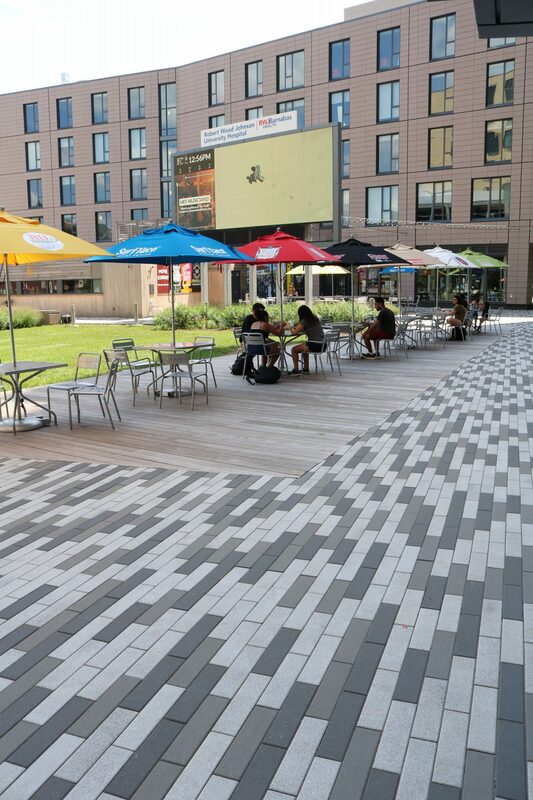 This large open area included a significant sodded lawn sitting area surrounding by tons of concrete pavers to support the heavy pedestrian traffic. 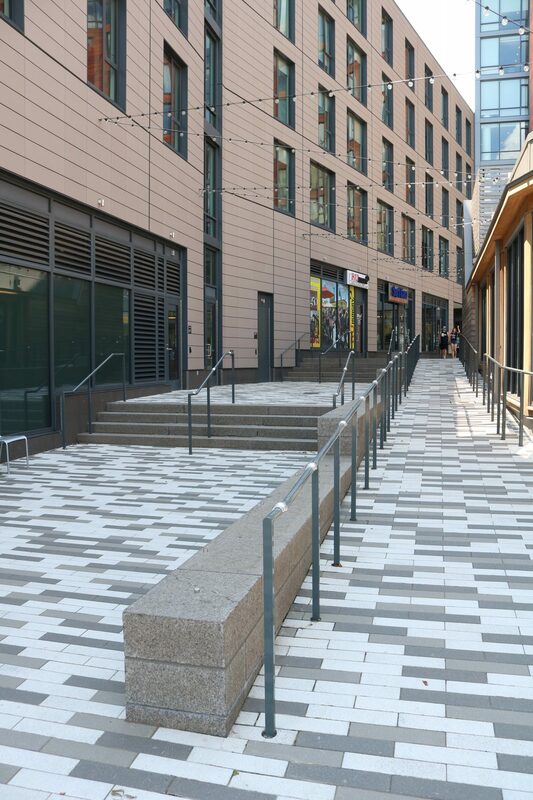 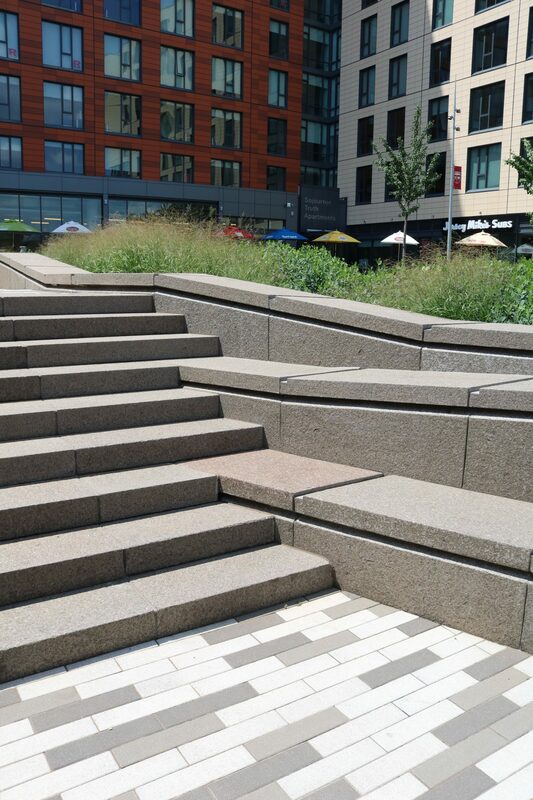 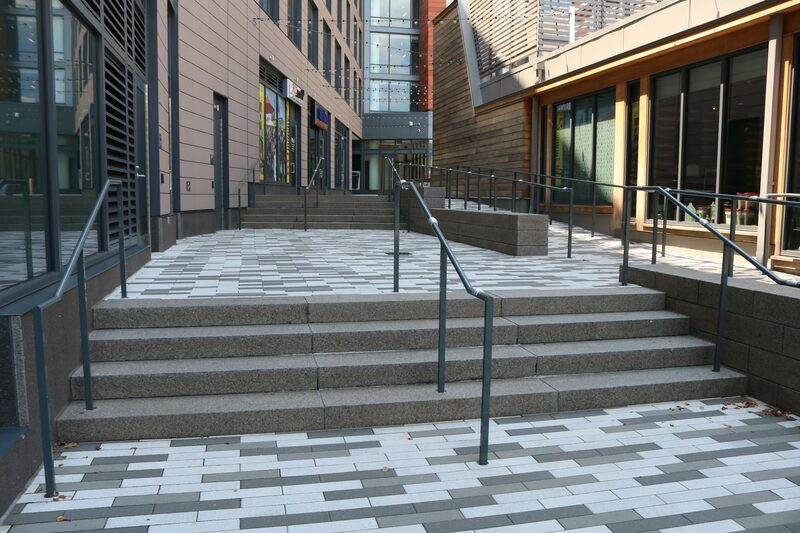 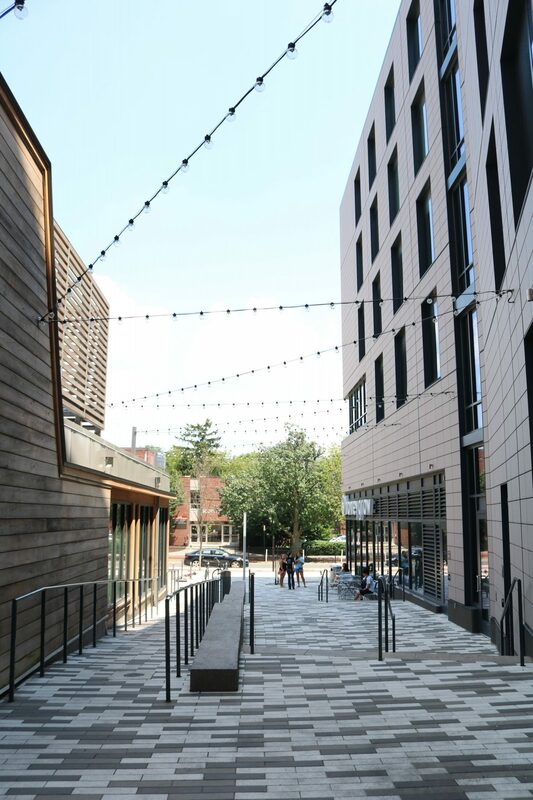 Incorporated throughout the site, LIG installed granite stair treads, granite walls, and large granite seat walls to help the users sit and enjoy the multiple shoppes located at the ground level of the apartments.